17th Century Ireland: A young gypsy girl is brutally murdered for falling in love with the son of a clan leader. She curses the men responsible and their bloodline. 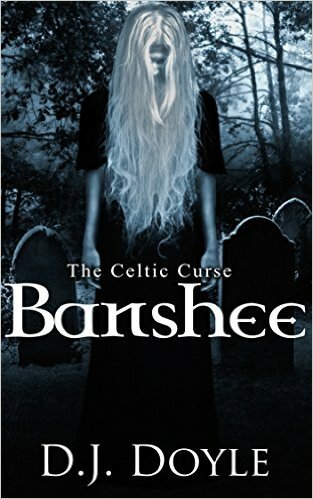 For generations 'The Banshee' seeks revenge on the men by slaying them and anyone who gets in her way. Present day London: Sean realises his son Kevin is in danger of becoming her next victim and travels to Dublin to investigate the origin of the curse. Sean learns that an ancient heritage site holds the key and discovers what he must do to save his son's life and break the curse that has been haunting his family for generations. The Celtic Curse Banshee is the debut novel from Kildare based author Denise Doyle. 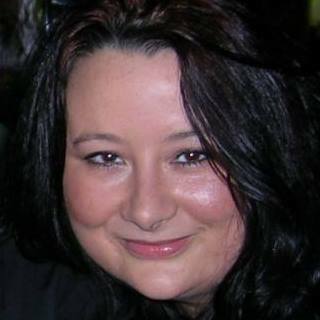 Denise took the legend of the banshee and put her own original spin on the tale of how she came to be. I was drawn into this story immediately. It was so well structured and Denise has a talent for painting a picture in your mind of scenes and events without rambling on for ten pages just to say the sky was blue lol. The death scenes in particular were described so well that it made me cringe as I read the details of certain characters demise. But the story is not just doom and gloom, Denise has some laugh out loud moments thrown in there too and Irish readers in particular will totally relate to some of the characters and the dialogue used. The book is in two parts. The first giving you the history of the terrible faith of this young gypsy woman that lead to the birth of the curse and the second part was the race against time to defeat this curse that had haunted this family for generations. The pace of the book was just right giving you the details of what you needed to know and leaving out the dribble you didn't. This can be the down fall in so many books. Ramble too much and my interest is gone!!! So what was there not to like about this wonderful piece of horror fiction. Great characters, a great twist on a well known legend, humour and an exciting climax. This is only D.J. Doyles first novel so I can't wait to see what comes next.